1. No link party next week due to Thanksgiving. 2. Next Friday I’ll be posting a Black Friday Silhouette promotion! Stay tuned. 3. My son is highly sensitive to dyes in food. I just noticed there are dyes in our toiletries as well (toothpaste, shampoo, soap, deodorant, etc). Do you use all-natural, organic, dye-free products? If so, what are your FAVORITE brands? TIA! Click here to read the waist training guide. Design, Dining + Diapers redid her bedroom and I am swooning over it. SWOONING! The stenciled wall. The gold accents. The deer head. I’m in love. Love, Pomegranate House made these adorable napkin rings out of popsicle sticks and washi tape. Seriously. I’m blown away too. Check out this cook ombre chevron necklace from Twin Dragonfly Designs. Great design and colors. 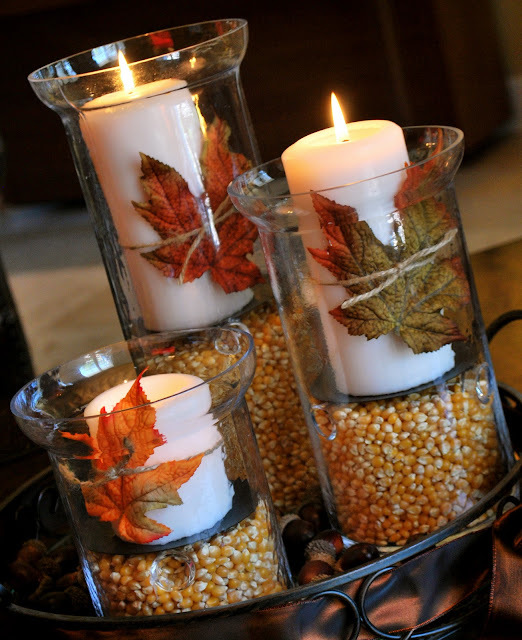 This Fall decor from My Heart’s Desire is simple and stunning. Practically Functional shares an easy sew tutorial for making these cute little pocket hand warmers. 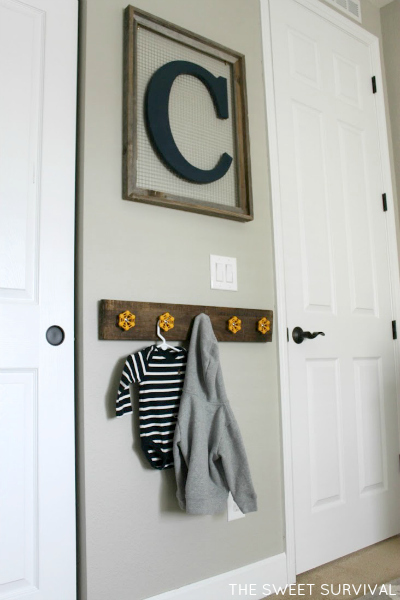 Here’s a cool DIY trophy display pinboard from House on Harrison. I love that there are places for all the metals and trophies as well as a pinboard for team photos. 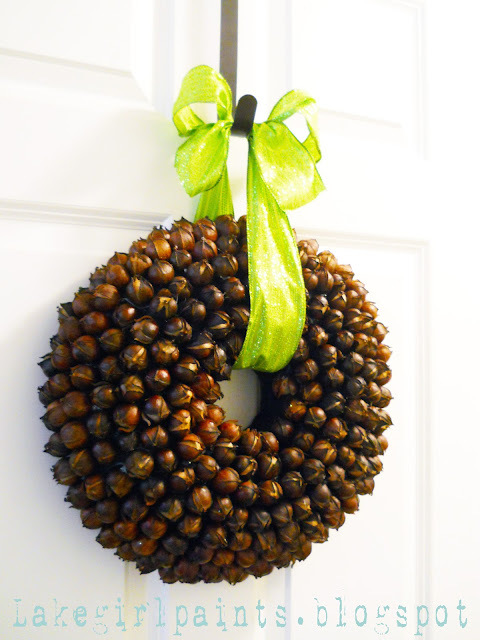 Lake Girl Paints made a pretty hickory nut wreath. She even made the wreath form. It’s Overflowing painted an awesome houndstooth pattern on her wall. It totally makes the space. I love this wall initial frame from The Sweet Survival. It’s rustic and industrial – my favorite. 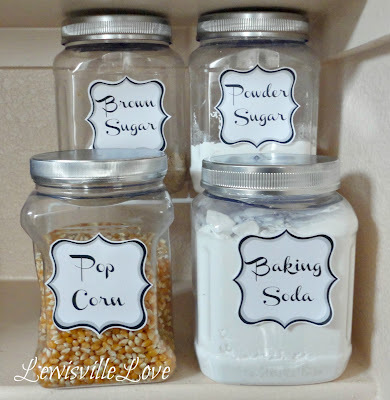 Lewisville Love turned leftover almond containers into cool matching canisters for her pantry. Back for Seconds made the most adorable mini apple pies. I’m so glad you liked those little hand warmers, thanks so much for the feature, and thanks for hosting! They are so cute. My SIL made us some big neck warmers a long time ago and we love them! I love the idea of a little pocket warmer. Oh my. Allison you just made my night! I am absolutely tickled that you like my washi tape napkin rings! P.S. 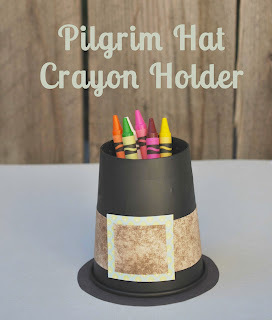 I love your blog and you rock for hosting this awesome party every week! Your napkin rings are so cute and creative. I love that you used popsicle sticks. I need to make my kids a trophy shelf. Such a great idea. Thanks for featuring my almond canisters! I consider a feature from you as a huge honor! And I’m sorry to hear about your son’s allergies. I use Tom’s of Maine for toiletries because they’re easiest to find at most stores, but if you have health food stores around you (like Wholefoods) they have a huge variety. I bought Tom’s toothpaste last week but wasn’t sure what kind of shampoo to use. I use Kenra which is awesome shampoo but after looking at the ingredient list, I want to get something more natural. But I love the Kenra and want something natural that will make my hair feel just as nice and smooth. My sister calls the Kenra shampoo her “date” shampoo. It’s expensive so she saves it for when she has a date. LOL. Also, I love the almond container storage. I almost threw one away this morning and stopped myself. I’m going to reuse it! Tom’s of Maine for dye-free toiletries. We’ve been big fans for ~20 yrs. I don’t think Ivory soap has any dyes, either. I just bought the toothpaste but wasn’t sure about the other stuff. I’ll try it all out. I’m excited to go natural! Well, we aren’t THAT sensitive, but my oldest son breaks out in hives if he uses regular soap or if I wash his clothes with regular detergent. We can’t even use Spray and Wash on his clothes. We used Resolve on our couch once and anywhere that his skin touched the couch, he had hives! But you just made me really grateful that he can at least eat normal food! For my son, we use Suave Free and Clear gentle shampoo. It’s a kid’s shampoo and he does really well with it. But we couldn’t even use the body wash for sensitive skin on him when he was little. He’s 6 and he still uses Baby Magic. I guess I should say he comes by it naturally since we have to use Baby Magic because I break out in hives with Johnsons! We also use the All Free & Clear detergent and don’t use fabric softeners because of it. Hopefully you can find something that works for you and your son! I love the Suave Free and Clear idea. I’m sure it isn’t very expensive but is also free of the dyes, so it sounds perfect for my kids. Thanks for the heads up! Isn’t it crazy where all coloring pops up! We use Toms for toothpaste/mouthwash Jason for shampoo/conditioner and Burts Bees for skin care and they’re all coloring free. I am baffled at what has coloring some times when I read ingredient lists! I am baffled too. I use to pay no attention, but after realizing my son was super sensitive to red40 I’ve decided to just eliminate all of it. It grosses me out how much crap is in our food. And apparently dyes are made from petroleum. How can that be good to put in your body? Thanks as always for hosting! I’ve recently been more aware of dye in foods- our family have been trying to eat more natural and organic food as much as we can. We’ve already noticed a big difference in the way we feel and energy that we have. We have made drastic changes to our diet this past year. 2012 will go down in history as the year of health and makeover. We changed our eating habits big time. Do you mind if I ask how you figured out he was sensitive? I noticed you were pinning a lot about food dyes (I’m not a stalker, really) and I was genuinely curious. I try to stay away from packaged food as much as possible to avoid it all together. My son has ADHD and is medicated (which I hate but feel like we don’t have another option at this point). Almost 3 years ago his teacher mentioned that maybe he might have a sensitivity to red dye. She had read about it somewhere. So we tried it out. Huge difference! It turns him into this physco little crazy machine whenever he eats it. So we’ve been red dye free since then. Then I read about wheat and gluten affecting kids with ADHD. Another huge milestone for him. He’s been gluten free for about 6 months now. Over the summer he was totally off his meds. He was gluten free and red dye free. He was doing great. School started again and he has taken a huge step backward and had to go back on meds. I started doing some reading and realized that many ADHD kids are super sensitive to all dyes, not just red dye. They are also sensitive to all the additives and preservatives. Well, when he started school he started eating processed foods again in his packed lunch every day. (Over the summer I would prepare a more healthy lunch for him but it’s hard when you have to pack one for him to eat hours later). I am realizing that it’s probably all the processed stuff and all the dyes in all that processed food that caused him to regress. It’s been a long journey and will continue to be a long one. But I am determined to do whatever I can do to have a healthy and functioning child and HOPEFULLY get him off those meds once and for all. 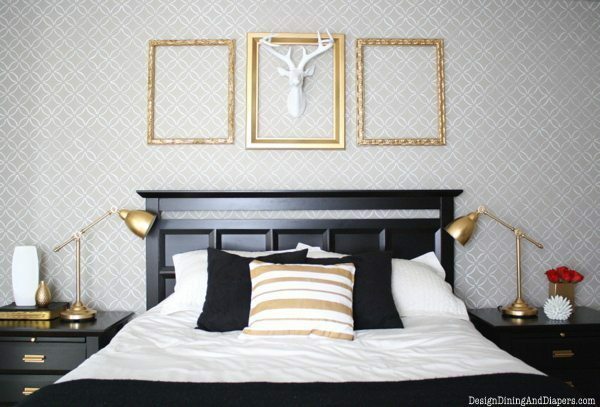 You know I am seriously dying over your bedroom. I just love it! 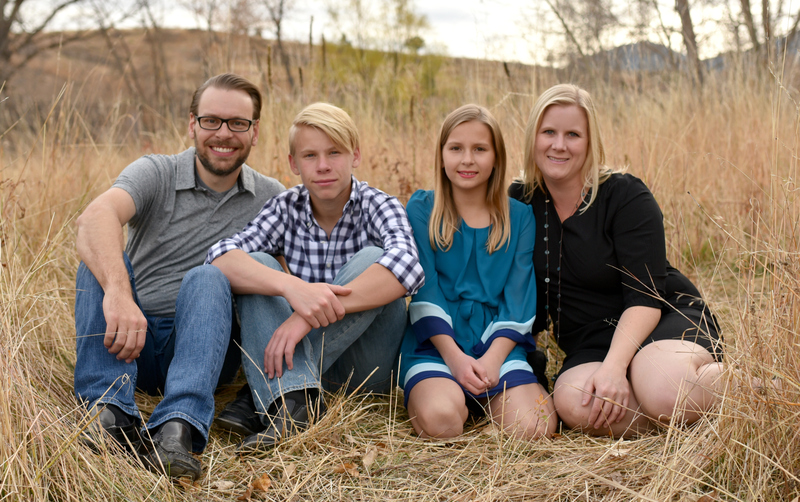 Hi Allison~ My son also has issues with dyes and allergies to so many things. We started using all natural Shaklee products and it is amazing the difference it has made for him! I would love to send you some products for free if you would be interested in a review and giveaway! Just e-mail me (kellyburtelson@eyesonthesource.com) Thanks! Thanks Kelly! I use to sell Shaklee and the stuff is really great. I’m not doing product reviews or promotions or giveaways anymore on my blog (except my affiliates Silhouette and True Value) but thank you so much for the offer! I probably do want to order some stuff though. Can you send me your link? As far as non dye toiletries, have you checked out Natural Groceries (Vitamin Cottage)? Not sure where you live or if there is one near you. They have a fantastic toiletry section. My family uses Ecos laundry detergent. The Magnolia and Lilly one smells fantastic! It cleans very well and sometimes I will add some Borax to the wash for extra soiled items. Kiss my Face, body wash products seem to do well with my family as well as the Giovanni hair and lotion line. We use either Tom of Maines toothpaste or Xyliwhite by Now products. I am very sensitive to things, as well. I also did not want my children ingesting all kinds of dyes, be it in food, soap or lotions. It is actually sickening how much junk it put in our products, when in fact the items can indeed be made without it. I do not wish to give money to a company who does not care about the health of its consumers. We do have a Natural Grocer. I go there to get all my vitamins. Thank you so much for this great list of products. I will head there today and check out what they have. I figure, if my kid can’t have dyes, is it good to lather his body in them? Probably not. Glad you have a Natural Grocers by you. Just so you know, as long a you keep your receipt, you can return products that do not work for you. It can get expensive very fast go to all natural products. It is nice to know that one can try products out and return them if they do not work. I had to do this a couple of time with some lotions I tried. Also, definitely speak with their head nutritionist. They are the ones that usually can point you to some good products and assist you with your son and his ADHD. Seriously, the nutritionist at my local store has been a life saver. Besides, it never hurts to ask and get knowledgeable. Yes. Our skin is the biggest organ on our body. Ironic how much we abuse it. I hate the dye is in all our foods! Argh!! Thanks for hosting, hope you find relief and good alternatives soon!!! Thank you Allison for the feature & hosting such a fabulous party! Cheers to a great week! Hi Allison! Thanks for another fabulous party! Great features! I hope you find dye-free products–we are fortunate not to have any major allergies in our home, but many friends do and I know it can mean a lot of extra work and money. Good luck! Have a happy Thanksgiving! I shared my Awesome Cinnamon Pretzels, because if you have never made these, you are really missing out! YUM-O! Great link ups to start with. Secondly…. On the organic stuff. I really love Avalon products. They have a lot of citrus scents. I am currently using a lemon face wash and I am totally in love with it. I also like Kiss my Face products. Shaklee products! 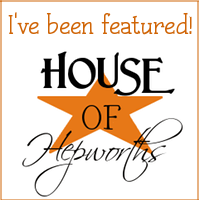 We absolutely love ours and it has been great for all of the various sensitivities in our household! Thank you so much for hosting another great party! Your features this week are great! I love the napkin rings. Thanks for hosting again. Hope you enjoy Thanksgiving with your family! The daughter of one of my very best friends can’t have artificial dyes and colors either. My friend is a blogger and a nurse. I’m sure she could give you some tips and hints. Email me if you want me to introduce you. She’s super nice! We were in each other’s weddings and roomed together at BlogHer and Blissdom. I’m always on the lookout for items for her. I reviewed dye free Surf Sweets and UNREAL candy on Lazy Budget Chef. Both taste good to our if it’s good eat it taste buds. Annie’s snacks and foods are dye free (my little friend gives Annie’s mac and cheese a thumbs up.) Pirate’s Booty is also dye free. Tom’s of Maine and Trader Joe’s toothpaste are dye free. For lotion, etc. Burt’s Bee’s is also dye free. So are many of the eco brands I personally use. I can try to help you and reach out to my green network if you are looking for alternatives for something. Thanks so much for featuring my industrial initial and for hosting such a wonderful party! Someone higher up mentioned it, but I wanted to 2nd the recommendation on Giovanni shampoo and conditioner. I am super picky about my hair products and tried a ton of natural options that I absolutely hated before I gave Giovanni a shot and fell in love. Can’t recommend it enough! I would also HIGHLY recommend Shaklee. My headaches and migraines are WAY better now that I’ve “Shaklee-ized” my life and switched out the products I was using before with toxins, dyes, etc. Thank you for hosting this link party, you blog is Amazing. Thanks for hosting Allison. Once again I’m party deficient and accidently linked up under food so ended up linking in both spots. sorry! Didn’t read all of the comments- but we use Tooth Chips from Rose of Sharon Acres on Etsy. It has the added bonus of being fluoride free, we have high high high levels in our water here and it frankly freaks me out. It’s freaking poison! For shampoo we use Earth Science: Fragrance Free Shampoo. We buy it by the gallon from Amazon. Soap we use Dr. Bronner’s bar soap. His liquid is just as good. There are several scents, but we just use unscented. And Deoderant I make my own from baking soda, coconut oil and corn startch. Seriously works wonders! Feel free to email me with any questions, we are a dye-free organic family as well. Have been for many years. Thanks for letting me share my article Fostering Gratitude! I didn’t read all the comments so I’m not sure if someone already said this. I’m not sure if there are dyes in it or not but I use GIOVANNI shampoo, conditioner, and hair spray. They are supposed to be natural. You can buy them at Good Earth or Healthfood stores. They ‘ve also recently started selling them at Target and Walmart. Good luck. Natural products are better for you but definitely cost more. Have you tried Burts Bees? I love most of their products also.